Water is one of our basic necessities for survival, other than food and sunlight of course. Living in an area with a good source of clean, drinkable water is always a top priority. However, there are some reported cases of water pollution incidents that will certainly leave you a bit uneasy. How? Well, let’s just say that Bear Gryll’s ‘drinking habit’ is far more tolerable than these. To briefly answer that, “Water Pollution is the contamination of water bodies like Lakes, Oceans, Rivers, aquifers and groundwater.” Contaminants/pollutants are always present when the water is polluted. Hydraulic fracturing water contamination is probably the most common cause of water pollution in the United States. What they do here basically is drill the ground and use high-pressure water mixture—directed at the rock—to release the gas that’s inside, as explained on BBC. So far, the latest fracking and water contamination news is the one in Pennsylvania. Because of fracking drinking water contamination, traces of 2-BE (2-Butoxyethanol) were found in some of the houses on the affected area. The Camp Lejeune water contamination incident happened first in the year 1952 up to the year 1987. In the span of 30 years or so, there have been as many as 500,000 people who were exposed to the chemicals found in the contaminated water of the camp. People who are living there were affected by various life threatening and fatal diseases like cancer (liver, kidney, breast, bladder, ovarian, cervical and lungs), reproductive disorders, birth defects and many other rare conditions because of the nasty chemicals,. This is one example that shows how fracking water contamination can become deadly. The water filtering methods you can use to counter these chemicals are, Air Stripping, forces air through the water and evaporating the VOCs (Volatile Organic Compounds) and TCE. Granulated Activated Carbon for the PCE, it will absorb the chemical in the water and Activated Carbon Filtration for Benzene and Vinyl Chloride, same process with GAC but with the use of whole or tiny pieces of carbons not the granules. 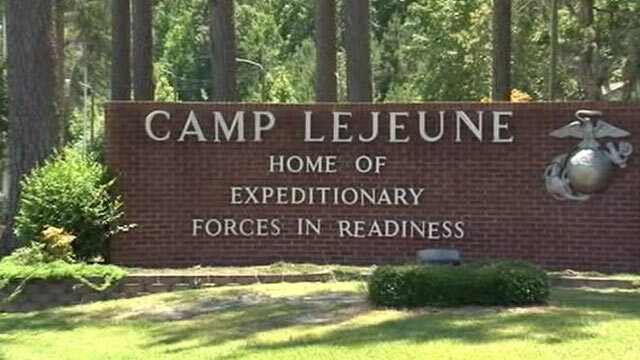 The Camp Lejeune water contamination claims are truly terrifying and alarming. It is not a laughing matter and people should do the right thing here. A perfect example of that would be, filing a Camp Lejeune water contamination lawsuit. The water in Woburn Massachusetts was contaminated with industrial solvents, as cited in a case study made by Adell K. Heneghan of University of Idaho. However, from the year 1969 to 1979, there have already been 12 incidence of childhood leukemia in the area. Other than Leukemia, residents of Woburn Massachusetts—during the height of the contamination—also show signs of liver, kidney, prostate and urinary track cancer. Risks of congenital abnormalities and birth defects were also present during that time. Chemicals that are present in the Woburn water contamination are PCE and TCE, like the ones found in the Camp Lejeune contamination disaster. Advisable filtration methods are GAC and Air stripping, respectively. The water was also laced with Chloroform, 1, 2 Dichloroethene and Arsenic, a heavy-metal compound which is also a carcinogen. GAC is one of the ideal ways to clear out chloroform in your water but for the 1, 2 Dichloroethene, it is advisable to combine GAC with Packed Tower Aeration, the opposite of Air Stripping. As for the Arsenic, Reverse Osmosis is the best way to go as it can filter out inorganic molecules like lead, iron and arsenic. The Hinckley incident is another great example of a drinking water contamination disaster. This prompted in a communitywide class action law suit. Does the movie 2000 Erin Brockovich ring any bells? It all started between the year 1952 and 1956 where dozens of people have reported falling ill—while some even died from the exposure! The chemical that we are talking about here is very nasty. After drinking the water, residents showed extremely high risk for breast, lung, brain and gastrointestinal cancer, kidney and ovarian tumors, miscarriage and Hodgkin’s disease. The one responsible for all of this is Pacific Gas and Electric (PG&E) and their illegal dumping of hexavalent chromium, or Chromium-6, making the groundwater and drinking water polluted. Public roadcasting Services (or PBS) suggests that, the most effective way to filter your water dozed with Chromium-6 is with an ion exchange water treatment unit. Think of the unit as a magnet and the Chromium is the metal. The chemical will cling on to the beads of the unit making your water safer to drink than before. The once blue-colored river is now one of the most polluted rivers in the world. Despite it being polluted, there are still millions of people who are greatly depending on it. As stated on hardsoftwater, this river is the source of 70% of New Delhi’s water supply. Water contamination in India is a serious case because of the fact that, western filtering techniques are actually quite expensive there and people will have to resort to drinking the polluted water to survive. For this Indian river, death comes through water contamination. Symptoms of cancer, organ damage, autoimmunity, and kidney and circulatory system diseases are just some of the serious problems people face if they depend on the Yamanu River in India. Major cause of its pollution is mainly pesticides. However, recent study reveals that heavy metals are also present in the river like lead, copper, cadmium, chromium, zinc, nickel and arsenic. Solid Block Carbon Filters are the best solution so far for treating heavy metals in your drinking water—and it can even filter VOCs in your water. Also, using Activated Carbon Filters can also tackle the pesticide part of the problem. In the year 2012, residents of the area where diamond mining is active are at risk from water contamination—specifically Mutare. So far there’s still no information on exactly how many residents in the area were affected in this water contamination in Africa disaster. Reports indicate that, in the village of Nenhohwe, 100 km south of Mutare Zimbabwe, children have developed rashes all over their bodies because of the exposure from the polluted water. Other health risks that are alarmingly escalated in that area are for cancer, iron poisoning, dental and skeletal fluorosis and waterborne diseases like diarrhea, cholera and typhoid. Based on the results of the tests the Zimbabwe Environmental Lawyers Association (ZELA) had conducted on the Odzi River, this drinking water contamination disaster showed high levels of chromium, nickel, iron, fluoride and bacteria. The easiest remedy here is for the bacteria where you just have to use distillation process, or just simply boiling of dirty water. However, for the others like chromium, nickel, iron, fluoride, the process is a bit more complex—and might be expensive. For the chromium and nickel, it is ideal to use electrocoagulation where you use electric current to hold the organics and inorganics compounds in the water. As for iron, the Ion Exchange Water Softener is probably the best one to use. For the fluoride content of your water, reverse osmosis can filter almost all of the content in your drinking water. The Ghana incident is big in a sense that, the long term repercussion of it may have a huge impact in the health of the people in the area. Dubbed as the “worst disaster ever in a West African nation,” by corpwatch, the tragic incident occurred on October 16, 2001 where thousands of cubic meters of mine wastewater were spilled in the River Asuman. The amount of wastewater shows that this is indeed the worst water contamination in Africa. There are no reports or water contamination facts that specify how many people were affected. Health-wise, however, the risks of it when exposed can be fatal if you had consumed large amount of polluted water/food. Nerve damage, thyroid problems and cancer are just a few of the risks you might develop when exposed. According to the test results, cyanide is not the only threat here; heavy metals were also present—and some, if not all of them are carcinogens. A combination of GAC and packed tower aeration is the best solution to remove cyanide from the water. As for the heavy metals, solid block carbon filters is the ideal filtration method to use. Just like in India, if not more severe, water contamination in Africa is also one of the most serious issues they have to face. The incident occurred last year, January 9, 2014 where 300,000 residents of West Virginia were advised not to use and drink their tap water due to a contamination of water. So far, there have been around 2,100 victim claims that have been recorded. Complaints of skin redness and itchiness were called to poison control. Victims also complained of anl as upset stomach along with some gastrointestinal water contamination symptoms like vomiting, diarrhea and cramps. The culprit behind all of this is the chemical methylcyclohexane methanol or MCHM. Ideally, since this type of incident is pretty uncommon, the most likely filtration system to use is a gravity water filtration system. Water filter blog has stated that, this system can virtually filter several types of contaminants and chemicals. Canada’s worst E Coli outbreak happened on May 2000 in Walkerton Ontario. CBC News (or Canadia Broadcasting Corporation) has reported that, there are seven confirmed dead and 2,300 people who fell ill—out of the 5,000 residents at the time—during the outbreak. That’s almost half the town. Affected people have suffered from fever as well as gastrointestinal disease symptoms like bloody diarrhea, vomiting and cramps. These are indications of bacteria and not lead contamination in water as most other incidents are. According to livestrong, the effective way to get rid the disease-causing bacteria in your drinking water is to combine these two methods: disinfection system (by using Chlorine or UV Light) and filtration system (reverse osmosis or submicron filtration system). The 1993 Milwaukee incident is so horrifying that it is dubbed the largest documented waterborne disease outbreak in the United States! In case you are wondering how big this tragic event is, more than 400,000 residents from the greater Milwaukee area were infected by the outbreak and 100 of them died because of compromised immune system. This shows that the contamination of drinking water in highly-populated areas can be tragic. The major cause of this outbreak is the bacteria called Cryptosporidium which can give you some serious gastrointestinal illnesses like diarrhea, vomiting and cramps. The best way to deal with this nasty little bugger is to boil the contaminated water for at least 1 minute, or to make it sound more technical, use the distillation method. On April 2014, residents of Lanzhou City, China were in mass panic due to contamination of drinking water. Officials had instructed the people of Lanzhou City to not drink the water from their tap for at least 24 hours, as stated by Reuters. Lanzhou Veoilia Water Co. is the one responsible for distributing tap water to its 3 million residents—which is l surrounded by chemical plants. The water pipelines are also near the chemical pipe lines. The water, during the contamination period, was laced with benzene, a carcinogen that can give you cancer when exposed to a high dosage. Now, when the level is not as tremendous as this, normally, the best filtration method you could use is Activated Carbon Filtration—which the local government did when they discovered the water is hazardous. This May 2015, people who live near Coal Ash Pond in North Carolina are advised not to drink their water as it contains high level of toxic heavy metals. As reported, 152 out of 163 water wells were tested for ground water contamination. Sadly, the wells did not pass the state standards for groundwater. Traces of lead, vanadium and hexavalent chromium were found in the drinking water in the area. The repercussions can be quite fatal when exposed to these chemicals—especially for chromium. For chromium, cancer is the most dangerous effect. Just like in lead poisoning where nerve damage and reproductive problems like decreased, reduced sperm count is also the major problem for victims here. For the chemical vanadium—though it is still not quite clear if this one is a carcinogenic—symptoms might include, nausea, mild diarrhea, and stomach cramps. Now the ideal ways to counter these chemicals are reverse osmosis for the lead, metal hydroxide adsorbents for vanadium and ion exchange water treatment unit for the chromium. 40% of the rivers and 46% of the lakes in America are actually polluted and it is unhealthy to go swimming and fishing in almost all of them. As stated on the survey done by Food & Water Watch [via conserve-energy-future], approximately 3.5 Billion people will experience water shortage issues by the year 2025 because of water pollution. Did you know that after the Japan Tsunami of 2011, there have been almost 70 km worth of debris which are now floating into the Pacific Ocean? There are over 30 billion tons of urban sewage that are being discharged into lakes, rivers and ocean each year. That sums up our article about water contamination, fracking and terrible water pollution-related disasters. Remember to always play it safe whenever you are drinking water and if there are any announcements of contaminations from your local municipality, please heed the warning. Stay safe everyone!